Education for a sustainable life means teaching the life skills needed to live lightly and consciously on the earth, and nurturing the knowledge and innovation needed to create a strong, sustainable future. As an international model for sustainable development, the Witchcliffe Ecovillage has enormous educational potential, providing sustainability workshops and courses for residents and the wider community, opportunities for postgraduate monitoring and research projects, and permaculture design certificate courses. For the younger members of the Ecovillage, the Margaret River area is well resourced with government, private, and alternative primary and secondary schools, with a school bus service available to transport students to and from Witchcliffe. To make the transition to a more sustainable life, future residents will need to learn about how energy, water, food, waste and community activities are managed within the Ecovillage, and how to best design and maintain their sustainable home. 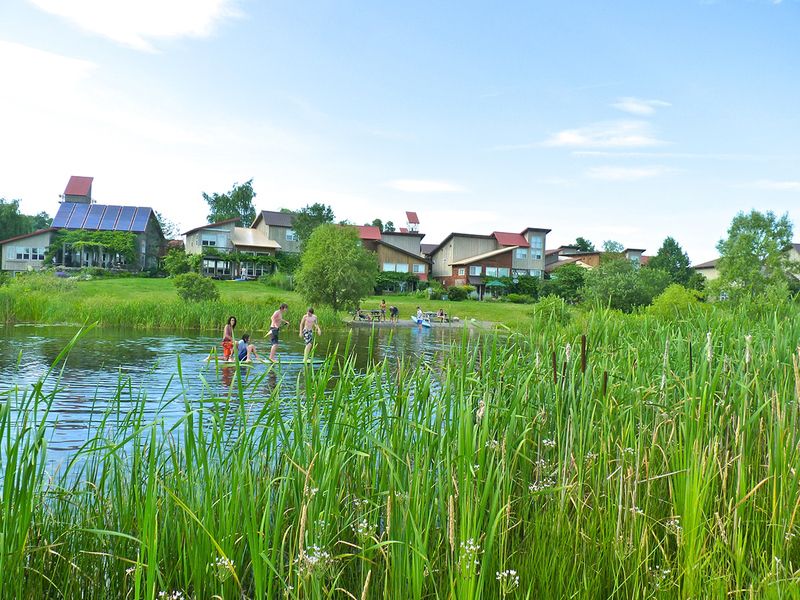 New residents will be inducted into the Ecovillage with an education course that will teach the fundamentals of ecovillage living–focusing on 6 principle areas: sustainable house design, energy, food, water, waste and community building. Residents will learn the skills they need to grow their own food, manage waste responsibly, and conserve and manage resources. It is envisaged that the Community Centre in the Village Square will provide an excellent venue for sustainable living education, with ongoing courses, workshops and conferences held for ecovillage residents, the general public, and ecovillage tourists. It is possible that the development of a truly sustainable ecovillage is the highest expression of the permaculture ethics “earth care, people care, fair share.” In the Witchcliffe Ecovillage, people will have the opportunity to live in harmony with the environment and each other, conscious of how the choices they make effect the world around them. Power from the sun, water from the clouds, organic food from the gardens and the farms, surplus shared through swapping, markets, food hub, with the potential for an ecovillage complementary currency (e.g. a LETS programme.) It is highly recommended that future residents read up on permaculture, watch some of the excellent videos available online, or complete an Introduction to Permaculture Design course. 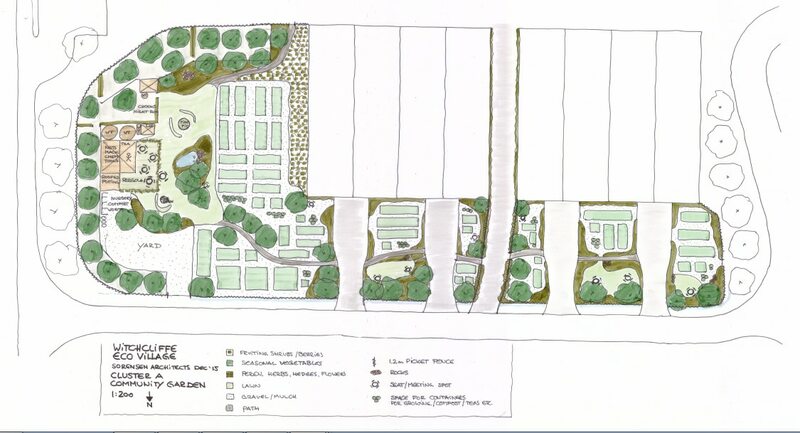 A commercial lot in the Ecovillage has been earmarked for an Ecovillage Permaculture Centre, which will house a plant nursery, landscape supplies, and sustainable technology products and services, as well as run regular permaculture design courses, with a focus on ecovillage design. The Margaret River region is home to a wide selection of excellent public, private and alternative primary and high schools, and a regional school bus service will transport children living in the Ecovillage to and from all of the local schools. The Witchcliffe Village Strategy has identified and set aside a primary school site west of Bussell Hwy for future development as the town grows. In the meantime, the Margaret River Independent School is a 2 minute drive, and Margaret River Primary School, Margaret River Montessori School and St Thomas More are all just a 10 minute drive from Witchcliffe. The Margaret River Independent Senior High School is a public high school catering for Year 7 – 12, which regularly achieves high student results in both tertiary and vocational pathways of study. The school bus service also transports children to various private high schools in Busselton and Bunbury. Tertiary study can be undertaken at the SWIT campus in Margaret River, as well as at Edith Cowan University’s Bunbury campus.